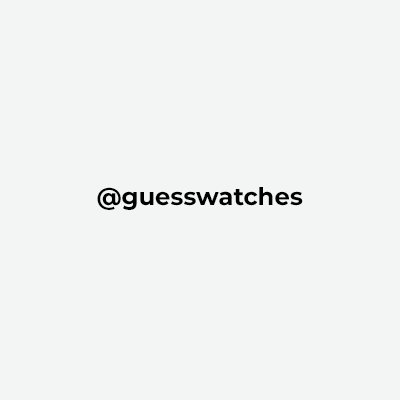 Introduced in 1983, GUESS Watches is a leader in fashion watches offering the ultimate wrist accessory with on-trend and versatile styling. The constant attention to new ideas and cutting-edge design keep the brand relevant to today’s trends. Styles for women range from trendy-casual to sophisticated-chic. The collection for men encompasses the best of masculine design, materials, and technology. 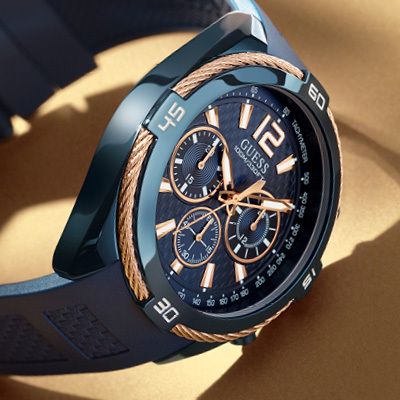 Consistent with the GUESS image, the GUESS Watches’ consumer is young, stylish, and adventurous. 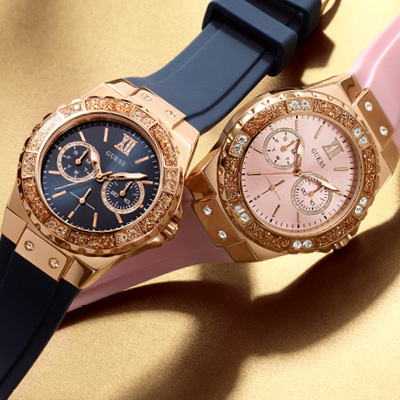 The beauty and boldness of the striking timepieces are part of a global trendsetter’s accessory wardrobe.